What now? If you’re like many other small business owners, that may be what you’ve been asking yourself after taking the first steps in a social media marketing plan: setting up your accounts, branding your pages, and creating and sharing content. There’s one important element missing: building your network. And you’ve probably even begun that process. Connected with existing customers who had also taken the plunge, big OEMs with hundreds of thousands of followers, maybe some friends and family, perhaps even a celebrity or two (depending on who’s in charge of your accounts). From everything you’ve heard about social media, there must be more to it. So, what now? Now, it’s time to take advantage of the network aspect of the social platforms, and start building your community in earnest - beyond those initial contacts made on your first pass. True community building isn’t just about numbers, however. It’s about the strength of your community as well - the quality of your connections, their relationship with you, and even their interactions with each other. The ideal community building strategy encompasses quality content as well as some legwork: research, account maintenance, and interaction/conversation. It takes more effort than just "being there" - but it can pay off by strengthening your brand, establishing you as a thought leader, and ultimately, bolstering your business. Since we’re talking about community building, it helps to have a quick reference for how the various social network communities are actually built. Facebook: Your network is based on how many users like your company page and share or like your content. LinkedIn: Professional contacts can follow your company page and updates, like and share your content, and you can create, join, and participate in groups. Twitter: You have followers, and follow other accounts. 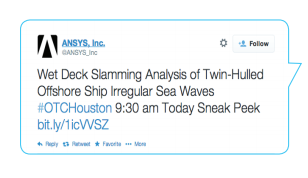 Your content (“tweets”) can be favorited and retweeted. Google+: Circles and other users who follow your updates comprise your google+ community. users can also share and +1 (similar to the like) your content. To cover all platforms at once, we may use the terms connections, network, community, or followers. Why Should I Build My Community? In lead generation as well as community building, quality is more important than quantity, so the goal is to have as many relevant connections as possible. You’ll have a greater social reach through a broader connection of followers in your high-quality network, increasing your chances of finding new connections and new business. • How many followers you have - Readers are more likely to share something from a brand with 3,000 Likes than with 30. • Who follows you - If a contact stumbles across your Twitter profile and sees that Boeing, Alcoa, and Aviation magazine all subscribe to your content, it’s a sure sign that you’ve got something valuable to say - and share. • Who shares your content - On the same note, if your accountant cousin retweets your blog, it might not hold much sway (as nice as she may be). If you get a retweet from a major player like GM, your social proof gets a boost from those who see it. It’s important to remember: social media is not a one-way street. A well-tailored but robust list of subscriptions - in the form of follows, likes, and circles, can be a powerful way to quickly and easily sift through the most up-to-date industry news, updates, opinions, and conversations. These can all be great sources for your own social content. As a component of a content marketing strategy, Community Building and social media can help you make an impact on every stage of the B2B industrial buying cycle. By building relationships, trust, and community with prospective customers through useful information and content, you’ll see benefits throughout the entire process. Educate: Provide information about your industry, brand and company. Search: Proactively answer basic questions and demonstrate your value. Evaluate: Differentiate you from competitors thorugh expertise, identity, and utility. Short List: Give buyers information and confidence to move forward through the buying process. RFI: Keep yourself top-of-mind up to the point of first contact. Keep one thing in mind throughout your efforts; the strongest community building tool is good content. We’ll discuss supplemental strategies, but the primary way to attract and keep new followers is to give them a reason to subscribe to your accounts – through your content. How Should I Build My Community? Step 1: Getting Started - Who Should I Follow? You should start creating content before you even have a community. That way, new visitors to your platforms will see something of value – well-curated content, insightful opinions, shareable posts – and be more likely to connect with you. Once you have a solid content plan in place – and solid content posted – the best way to begin building your social networks is the equivalent of saying “hello” at a networking event: reach out and connect with accounts you’d like to be in contact with. Following other accounts on Twitter, making connections on LinkedIn, and adding Google+ users to your Circles is the equivalent of that “hello” – you can send a private (or public) note if you’d like, but regardless, they’ll receive a notification that you’ve connected with them. Ideally, from there, they’ll reciprocate – and provide the initial building blocks of your community. The best way to drive business through social media is to build your brand and provide quality content. Although you should very rarely post blatant sales messaging, the goal of your social media marketing is, at its core, to drive your business. The best way to go about that through social media is to build your brand and provide quality content. If a prospect finds your messaging interesting, unique, useful, and/or informative, you’re more likely to be top-of-mind once a sales cycle begins. If your messaging stands out, it’s likely that your product and service will, too. By posting regularly, around the clock, engineering software firm ANSYS reaches a worldwide audience. Their tweets cover the topically interesting as well as the practical, with a little quirk thrown in from time to time: recent tweets covered a webinar on electrical machine design, power saving tips, and a solar-powered bridge brewing the world’s largest cup of tea. These might be journalists, bloggers, or association heads – people you won’t be selling to, but who have a wide reach and a great deal of influence. If you can get on their radar, you open yourself up to interactions, reposts, shared content – and the social proof that you’ll gain through their implicit mark of approval. Those reposts can also lead to new direct connections for you. New business isn’t the only business you should pursue through social media. Make sure you let your existing customer and prospect lists know that they can now connect with you on these platforms. It’s never a bad idea to add to an existing relationship to help you stand out better among a sea of existing suppliers. Step 2: I'm Connected – Now What? LinkedIn Groups are an ideal setting for B2B and industrial professionals to put their technical expertise to use in a marketing framework, on behalf of their companies (only individuals can post to groups). Discussions can cover industry trends, the economic landscape, or technical issues, just to name a few. Thought leadership begins here – it’s where you can really show what sets you apart as a brand and a business. Go beyond mere broadcasting to get involved in conversations and interactions with your network. Because the skills gap in manufacturing is probably affecting you, and they’re trying to do something about it. They’re also Twitter experts, engaging in best practices like live tweeting relevant events such as the State of the Union, using one or two relevant hashtags in most of their tweets (like #PRIME and #mfg) and using the platform to advocate their message in a non-promotional way. The most direct and useful way to interact on Twitter is through the “@reply” – commenting on someone else’s post, whether it’s a link to an article or a response to a statement or opinion. Remember to keep it professional and constructive – respectful disagreement can be appropriate, but controversy or vitriol aren’t likely to win you any new business. 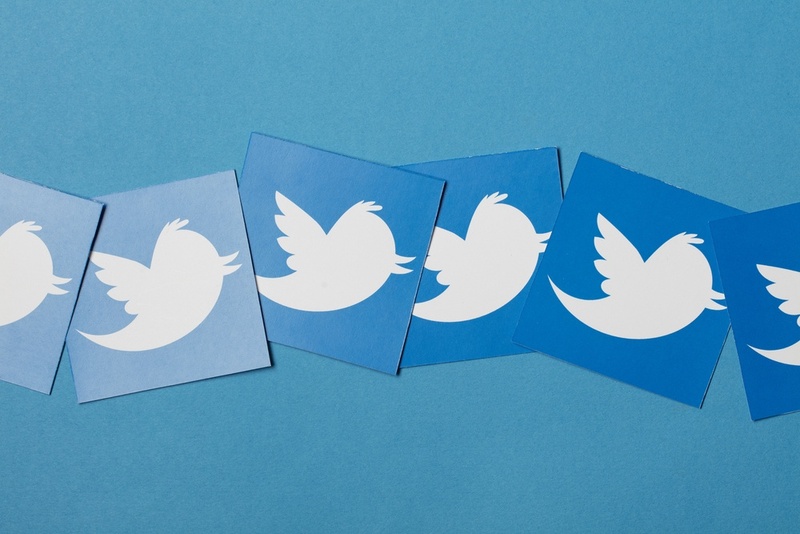 Twitter retweets (RTs) and “favorites” are a more passive way of joining a conversation, but still can be useful – as long as you don’t lean too heavily on them. Google+ Communities are yet another way to connect with like-minded users who are interested in the same topics that you are. Remember that no one joins a social media network to hear more sales pitches – your main goal in participating in Google+ Communities should be to share interesting content (your own, or from another source that you credit) and enrich the discussion by commenting on posts and content from others. You’ll expand your network by sharing the kinds of content and comments that members of your Google+ Communities want to hear more of. You’ve built your following through quality content and utility. Step 3: Growth Had Leveled – Where Do I Go From Here? Posting a blog a day in addition to numerous social media updates – typically 15 posts or more daily – Cerasis understands the importance of quality content and a frequent posting schedule. Engaged interaction with followers and an abundance of educational material – both original, and shared – show that Cerasis understands and embraces the best practices for building community around content. Once you’ve gotten used to joining in the online conversation, you’ll eventually be ready to start your own. Proactively engage your community with open-ended questions, scheduled topical “roundtables” or chats, and opinions of your own. By creating a network of interactions, you create a stronger community – one centered on you. One of the primary ways to gain exposure and build your community is by “live tweeting” events, like conferences or relevant news. There will usually be a hashtag involved here – and depending on the size of the event, you can easily attract a wealth of new connections. They may not all be qualified prospects, but it’s a valid and organic way to build your community to “thought leader” proportions. You probably have been doing this already, but it’s worth taking another look and making sure that your messaging is on target with each platform (and that you’re avoiding the cardinal sin of broadcasting the same messages across all platforms). For instance, LinkedIn is a great place to “talk shop” and even solicit sales a bit more aggressively. Facebook is probably where you want to run your contests. Twitter is perfect for using hashtags and trending topics to get involved in discussions and find more followers. By creating a network of interactions, you create a stronger community - one centered on you. Step 4: How Can I Prove That It's Working? 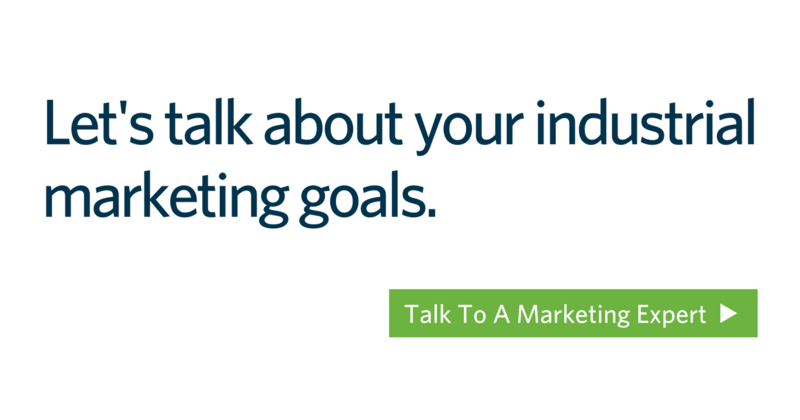 At the end of the day, you’re going to need to back up the efficacy of your marketing plan with tangible results. All the followers and Facebook Likes in the world won’t matter if you, your CMO, or your CFO doesn’t feel that your efforts are worth the investment of time and money. So how can you prove the worth of a social marketing program, and justify the time needed to effectively build your community? 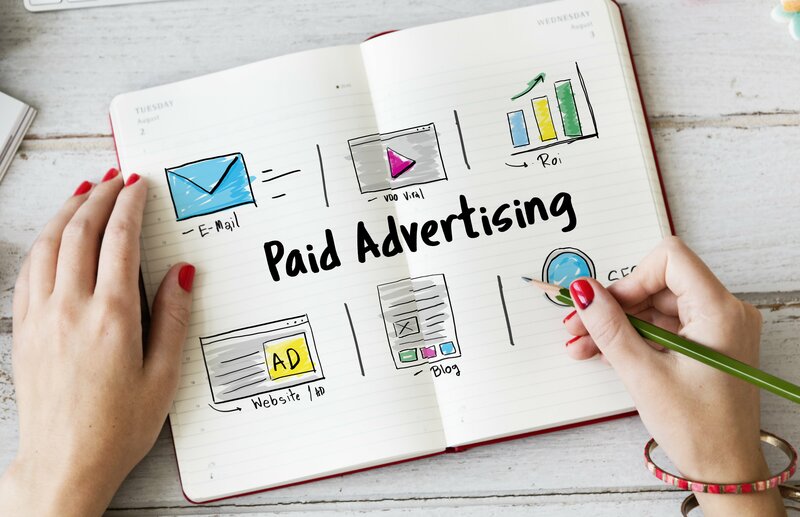 It’s not that far off from how to measure any standard marketing or advertising campaign, and indeed, may be even easier with the right tools at your disposal. On a platform that allows you to track metrics and clicks, such as HubSpot (Hubspot.com), you can break down exactly what kinds of prospects, leads, and sales your program is creating. Here’s how. A CTA is about as close as you should come to a “sell,” and is invaluable in tracking metrics and proving ROI. By giving your community the opportunity to visit a landing page on your website – one that offers them some additional value, like a white paper or e-book – you open up the opportunity to gain more leads, and know for certain that they came from your social network. Can you say that about a highway billboard advertisement? A blog is an integral part of your social strategy, and making sure to keep your community informed of new posts and relevant archival material can also lead directly to more leads. A blog is never the place for a sales pitch, but by giving readers the option to “learn more” or “contact us,” you can build your prospect list – or even start a sales cycle once interest is expressed. By measuring statistics like Cost Per Lead and Lifetime Customer Value, you can more accurately paint an ROI picture. It’s important to remember, and communicate, that social media can take time to build and see a return on. Just because there aren’t immediate results doesn’t mean the potential isn’t there. Be sure you can also explain that potential – and the steps you’ve taken to realize it. Understand your “social impact” The bottom line is always the bottom line, but you can also illustrate what’s behind your program’s ROI with social statistics. Those include things like Shares, Likes, Retweets, and Favorites. Marketing automation platforms like HubSpot give you the social dashboard tools to schedule, monitor, and track your social media postings and their performance with your readers. You can also get a read on the 2nd and 3rd-tier exposure that impacts the value of your program - illustrating a potential reach into the hundreds of thousands of people when your content is shared by the right accounts, with the right people. Think of it like “impressions” on a web page or circulation numbers for a print ad, except much more targeted and efficient. The bottom line is always the bottom line, but you can also illustrate what’s behind your program’s ROI with social statistics. Those include things like Shares, Likes, Retweets, and Favorites. Marketing automation platforms like HubSpot give you the social dashboard tools to schedule, monitor, and track your social media postings and their performance with your readers. You can also get a read on the 2nd and 3rd-tier exposure that impacts the value of your program - illustrating a potential reach into the hundreds of thousands of people when your content is shared by the right accounts, with the right people. Think of it like “impressions” on a web page or circulation numbers for a print ad, except much more targeted and efficient. Now that you’ve seen the effort required to monitor and maintain your social media community building efforts, don’t forget the most important underpinning: just like any other marketing effort, you need to create quality content and add value to every conversation that you want to become a part of. The benefits of a strong community will prove themselves when your social media presence stands as a component of a marketing plan that sets you apart as more than “just another supplier.” By creating good content, connecting with the right people, sharing your expertise when joining and starting conversations, and tracking the results of your “social impact,” you’ll put yourself in the ideal position to take advantage of all the benefits that the social media community has to offer.